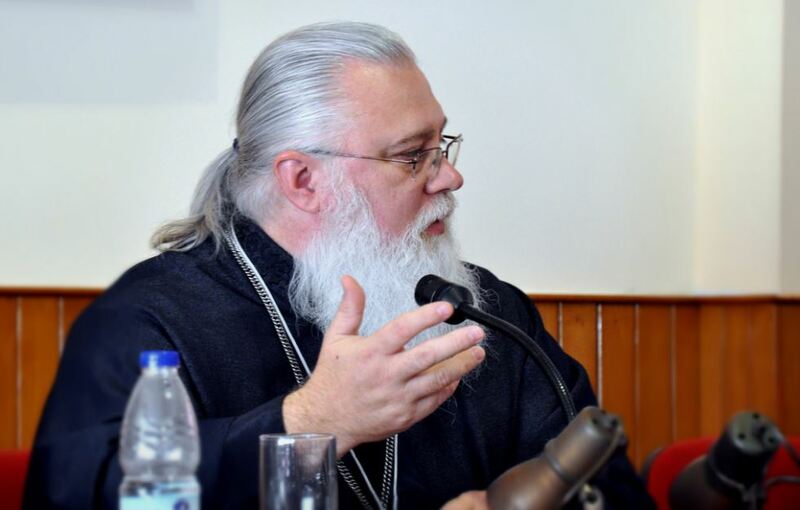 Share the post "Orthodox Mission at the Dawn of the Digital Era"
As the 21st century since our Lord’s incarnation has shown, contemporary man is in an existential crisis. Confusion over simple, scientifically verifiable facts (life, marriage, gender identity) and their place in the Orthodox Tradition has plagued many, including some otherwise noteworthy Orthodox clergy. These attacks on traditional values, traditional institutions, and biologically verifiable reality is not simple a ‘reimagining’ of religious thought and theological ideology, as it is often portrayed. It is a direct challenge to objective reality, and an attack on human civilization. It is certainly a direct attack on God – who created life, who created mankind – and did so male and female, and Himself joined them together. The destruction of marriage, the elimination of gender distinction, and the desacralization of human life – if allowed to continue – will not simply constitute an attack on the Orthodox Church; if permitted acceptance within the body of the Church, it will destroy the Orthodox faith. 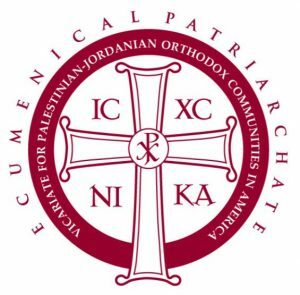 It is imperative that the Orthodox parish remain a bastion of traditional Orthodox love, piety and faith, and provide clear moral instruction in the Apostolic Tradition. Since 99% of all profitable spiritual activity in Orthodoxy happens in, or in relation to, the Orthodox parish, I am going to focus my presentation on the establishment of Orthodox parishes in the digital age from scratch, or from practically nothing. The digital age is a world of communication, and that means more than simply making information available. The world is choking on information, much of it widely understood as nothing but propaganda. This is a great advantage for those of us who are engaged in Orthodox missionary activity. We have the use of exceptionally inexpensive, mobile technology that permits us to contact, and be contacted by, people from every corner of the world directly, on media platforms, through calls, chats, text messages, online bulletin boards, forums, email lists, and websites which can be accessed with almost every digital device imaginable. Technology utilized properly makes us more powerful in the mission field, and gives small groups of highly committed teams a large footprint in global digital arena. To get successfully started in online mission activity which will build and benefit the parish, a progressive online mission process is needed. Normally, the progression of contact will go like this – (Website>)Social media > Chat > Phone Call > Online meeting/Skype call > Regular online contact while directing to local Orthodox contact. When contact is made, respond quickly. This is a giant problem for the Orthodox. Regular, timely contact with some Orthodox clergy, and with all mission centers and missionary societies, is abysmal at best, and non-existent in most cases. Following up with an inquirer 2-3 weeks after they call is worse than not calling back! The lack of professionalism of these societies should not dictate the response time of the missionary! Another beautiful result of the embrace of technology is the simple, pre-scheduled online meeting. In missions without buildings, online meetings can become classes, Bible studies, catechesis lectures, and more. Apart from occasionally scheduled online New Member classes, I myself teach two different online catechism classes per week, regularly scheduled at different times on different days, and garner participants from as close as my own state of Arizona, USA and as far away as Japan, and many places in between. We begin with an online New Member Class, and cycle through 20 lessons of basic catechesis. When the 20 are completed, they cycle begins anew. I am not the only one doing this kind of catechesis and instruction by distance. Committed clergy and their wives are actively reaching and catechizing inquirers who live far from any Orthodox parish. As the culture of modernity becomes more and more hostile to Orthodox Christianity, the Church would be wise to make available the kind of education, training, and formation that will allow it to not only survive but thrive in hostile environments. I call it training for the Underground church. This would necessarily require pushing down levels of educated, trained leadership and provide training in basic Orthodox theology, personal evangelism, and practical apologetics. No one had such a program, so we started one ourselves. It is with this in mind that the GreatMartyr Euphemia Orthodox Theological Academy was born. Not only to provide basic but solid Orthodox theological classes via the internet, but to deliver classes, texts, content, and contact entirely online, for Arabic and English speaking students, making the purchase of a large number of expensive books unnecessary, and providing Orthodox theological education to those in every corner of the globe where even intermittent internet access is available. Our concern is not to pump out master’s degree graduates – there are already a multitude of master’s programs in almost every theological school as is. Instead, we have designed a challenging undergraduate level program of study for those who work in the world, educate their children, and want to teach, preach, and serve their families and those around them. The program is not a competitor, therefore, with existing seminary programs, but fills an important void in available theological study. The homeschooling mom, the hardworking dad, the high school graduate discerning a vocation, but without completing college; all these can take advantage of a program which is designed for them. When someone graduates the Academy Diploma program, they will already have the all materials necessary to hold successful classes for a New Member Class (often called Orthodoxy 101), Catechism Class, baptismal preparation class, Mystagogy class, a basic Bible Survey class, and the outlines for additional Bible studies, and small group meetings. The idea here is to offer in many ways, in many locations a consistent education using incremental, tiered instructional material with consistent markers for excellence. In other words, a lone Orthodox Christian can get easily started building up from scratch what will become a thriving and traditional Orthodox parish. This is a very important vision, as it provides the necessary tools, training, and direction for Orthodox Christians to establish and spread the Orthodox faith in every culture, in every jurisdiction, and under any circumstance, no matter how hostile. Technology as a concept in mission will go from being a strange, long tunnel leading to an unknown destination to being a coursing river of connection, communication, education, mission, and vision, to advance the growth of the Church and SAVE SOULS. For those who have no nearby Orthodox parish or mission, a solution has been designed by Fr. Russell Radoicich, a Serbian Orthodox priest who has begun to implement a program in varied locations out of his parish in Missoula, Montana, and it is this program which we are laying groundwork for to implement in Arizona. Often a “Mission” parish is defined by a certain number of parishioners or families. For example “20 or 30” souls or households. Most often this model for “Full Parish” or “Mission Parish” was established when the idea of a Church was a group or “Colony” of Orthodox people who had immigrated to an area, and when there were enough, a parish was born. This “Colony” mentality does not serve a large Mission field like the USA today very well. Even when it does exist, it is slow and subject to false starts. A TRUE Missionary would beg the question, “What is the program for getting from ZERO (0) Orthodox people/families to “30 or 40” or Mission parish level. And, so, the designation of “Satellite Parish” was added to the existing program. What is a Satellite Parish? 3. No full time priest. 7. No Time Limit as to how long they can be a Satellite. 8. No Jurisdictional Ecclesiastical commitment. 9. Just the Faithful growing their faith where they live with their neighbors, all drawing near to each other and to the closest Orthodox church. A Mission Parish still has no diocesan dues/assessments. These need not be obtained in the above particular order. Should the “Mission Parish” fail to flourish, they simply go back to “Satellite” Status. When a Mission parish is ready for a Full Time Priest, one of the two priests at the Full Parish is placed there. And the Full Parish then back fills with another Second Priest, either taken from the diaconate already serving, or from among Academy students or seminarians. 1) you never have a Green Priest in a Mission Parish. 2) you never have a Starving Priest in a Mission Parish. 3) The Priest who is Placed in the Mission Parish already knows everyone. 4) The FULL PARISH becomes training ground and source for additional clergy. 6) Clergy Vacancy at the FULL Parish will never be a problem should the senior priest retire or die. 7) This actively engages the Whole Parish in Missionary work where ever they live. 8) This Model replicates itself. 9) All the Satellite Parishes gather at the FULL PARISH for all Feast Days if and whenever possible. 10 ) Orthodox Christianity expands exponentially. It does mean that a Full Parish Priest can not get lazy and just become a “Maintenance” priest. The “Satellite Model” is a model for actively Baptizing America. Our goal is to evangelize and lead people to the Orthodox faith, and into the Church, by ultimately preparing and growing self-duplicating, traditional Orthodox parishes with strongly committed, spiritually-oriented Orthodox Christians. Currently the Church in North America has no real budget for mission work. While one can lament the evidence that mission work is absent from the budgetary line item of important activities, it also pushes the serious missionary to creative solutions for solvable problems. The Church has long been involved in corporate works of charity, hospitality, education, and communication, all to the benefit of society. As mission in the digital age takes a freer approach, building up parishes from scratch will take a more nuanced and more directed approach, especially when it comes to financial growth and support. Complimentary non-profit corporations and virtuous enterprises to support and provide the mission with necessary resources is the paramount way to provide funding for nascent parishes. They are also more successful in engaging otherwise uninterested parties in charitable work which is good for all involved. For example, while not many people might contribute to an obscure local small parish having a drive collecting funds to supply disadvantaged kids with backpacks and supplies for the new school year, a separate non-profit will likely garner a much wider body of public support and donations for it. The advantages of virtuous industries to support the heavier lifting of funding for land and physical plant purchases cannot be overstated. While a parish should rely exclusively on tithes and offerings for their operating budget, acquisitions can be made better, easier, and quicker when virtuous industry is helping advance the vision and mission. Finally, we must take care to not to neglect the newly illumined. How often the Chrism dries and their initiation, education, and spiritual growth pretty much ends. New members need each other, and other serious Orthodox Christians. They should continue their formation by gathering together in synodia, small groups, cells, classes, and societies where they can continue to advance in the Orthodox spiritual life, each with and for the other, lest, as George Whitefield noted, we neglect to preserve the fruit of our labors, and thereby transform our work and our people into nothing more than a rope of sand. The digital era has made it easier to waste and scatter our resources if efforts are made without direction and planning, but it has also made it easier, with organization and vision, to exponentially multiply our efforts with fewer resources, doing more with less than ever before in history.